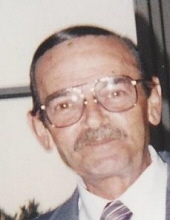 Ralph M. Santora , 78, died September 20, 2018 at the J.F.K. Medical Center in Edison. Born and raised in Jersey City he moved to Edison 21 years ago. He worked as a mail handler for the U.S. Post Office in Secaucus for 25 years before retiring in 2005. He was the beloved husband of Carole (nee Wadrinski), the cherished father of Ralph and his wife Keri, Christopher and his wife Sandi, Stacy, and the late Anthony, the adored grandfather of Courtney, Renee, Angelyna, Rylee, Giovanna and Lexi, the dear brother of Marylou Flynn and Phyllis Buziak, and the loving uncle of many nieces and nephews. Relatives and Friends are invited to attend the Funeral Service at the Parow Funeral Home 185 Ridge Rd., North Arlington on Monday, September 24th at 12 noon. Interment will follow at Holy Cross Cemetery, North Arlington. Visitation will be held at the funeral home Monday morning 9 a.m. until time of service. To send flowers or a remembrance gift to the family of Ralph M Santora, please visit our Tribute Store. "Email Address" would like to share the life celebration of Ralph M Santora. Click on the "link" to go to share a favorite memory or leave a condolence message for the family.